Lisa Vernon (Lori Nelson) likes to race her stock T-bird at the local Drag Strip and usually wins. 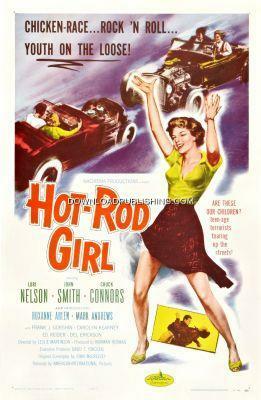 Her Boyfriend, Jeff Northrup (John Smith) a Champion racer and top notch mechanic, built his little brother a Hot Rod and ends up killing himself with it. Jeff blames himself and withdraws from everything and everybody. Jeff and his friends go back to racing in the streets instead of the strip.